Any traditional K-ballad fans out there? 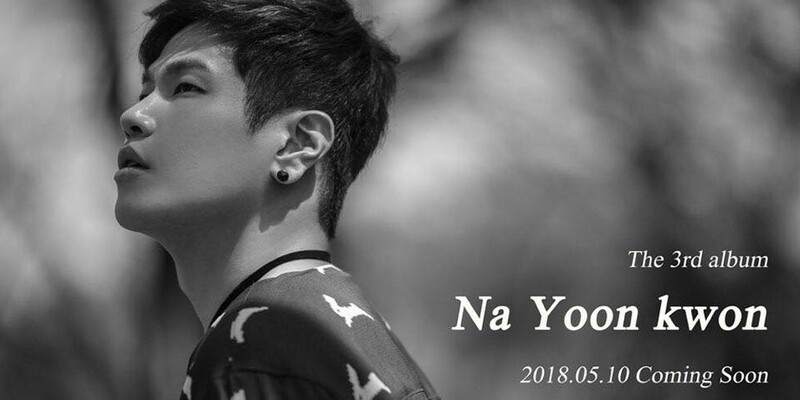 Because the prince of Korean ballads, Na Yoon Kwon, is returning with his 3rd full album this month! 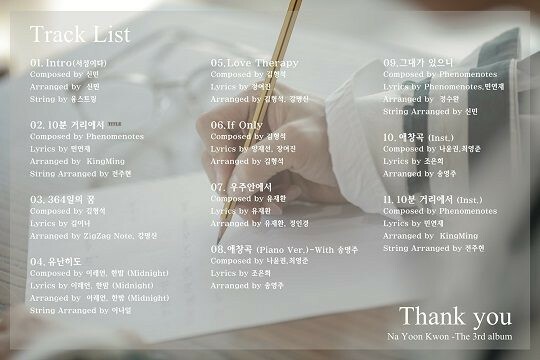 The artist recently revealed the full tracklist for his upcoming 3rd album 'Thank You', which contains 11 songs total. The title track will be called "10 Minutes Away", and other songs in the album include new songs as well as some of his previously released tracks, plus a special piano version of his hit "A Favorite Song". The title song "10 Minutes Away" was produced by Phenomenotes with lyrics by lyricist Min Yeon Jae. According to Na Yoon Kwon's side, his newest album will be able to showcase the singer's complete vocal range without holding anything back. Look out for Na Yoon Kwon's full album and MV release on May 10 at 6PM KST.